A top-of-mind concern for today’s aging seniors is whether they will have sufficient funds to pay for their care as their health deteriorates. Whether a senior chooses to receive at-home care or custodial care, the costs are often staggering. 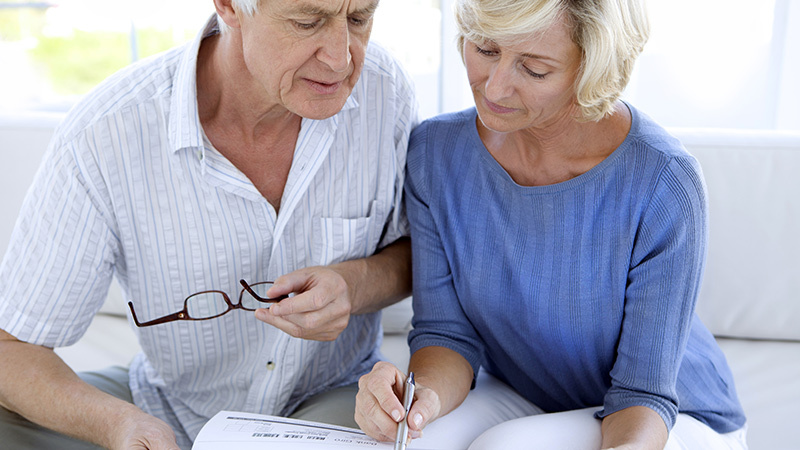 Many seniors and their loved ones will rely on financial advisors to help them explore the options and recommend the financial resources available to them. In some cases, the proceeds from selling a life insurance policy in the secondary market, known as a life settlement, could make a meaningful difference in the quality of care the senior receives. As medical advances help Americans live longer —some well into their 90s and 100s — paying for health care will become even more of a concern. According to the U. S. Department of Health & Human Services, someone turning age 65 today has a 70% percent chance of needing some type of long-term care services in their remaining years. But extended institutionalized care can quickly dwindle a senior’s savings and can often lead to bankruptcy. The reality, as statistics show, is that most seniors are not financially prepared to meet the costs of living longer. The median household wealth for seniors over 65 is just over $263,000, and the percentage of seniors who own long-term care insurance has slipped over the years to just five (5%) percent. With the cost for nursing home care averaging $86,000 a year for a semi-private room, the majority of today’s seniors simply do not have the financial resources to pay for their own care. According to a study by Caregiver.org, an estimated 65% of seniors will ultimately rely on family members to provide assistance as they age. While difficult to believe, the majority of today’s seniors are still not aware of the life settlement option. As a financial advisor, you are an essential resource to your senior clients and their family members when it comes to helping them make informed decisions – including the option for a life settlement. Asset Life Settlements suggests providing your clients with a copy of our informational brochure available for download. The first goal of financial advisors when discussing the topic with elderly clients and their family members is to clear up the confusion regarding health insurance and Medicare when it comes to paying for assisted living or extended nursing home care. For example, some seniors assume that their health insurance or Medicare will cover the costs if they need assistance with their “Activities of Daily Living” (ADLs). This includes such everyday tasks as bathing, dressing, toileting and eating. However, health insurance does not cover ADL costs, and Medicare assistance is generally not available for extended long-term care. Selling the senior’s life insurance policy (known as a life settlement or viatical settlement depending on the senior’s life expectancy. Paying for Handicap-Accessible Home Remodeling - This case involved a senior with a degenerative disease who wanted to stay in his own home rather than enter a long-term care facility. He no longer needed his $1 million life insurance policy and was able to use $375,000 from the life settlement to finance an extensive remodeling project for his home. Providing Alzheimer’s Care for Loved One - This case involved a senior with Alzheimer’s disease whose family was struggling to finance quality care for him. The $600,000 in proceeds from a life settlement on his $1 million policy enabled the family to place him in a quality memory care unit, as well as make the premium payments on the patient’s remaining life insurance policy. Rapid advances in medical technology are helping today’s seniors live longer and healthier lives. While longevity many be a blessing for many, most seniors will struggle to afford quality care in their later years. Financial advisors have an opportunity to educate senior clients and their caregivers about the secondary market for life insurance policies. The cash proceeds from a life settlement can make a meaningful difference in the quality of long-term care a senior receives as they age. If you would like to learn more about life settlements or have a potential case you would like to discuss, contact us at 1-855-768-9085.